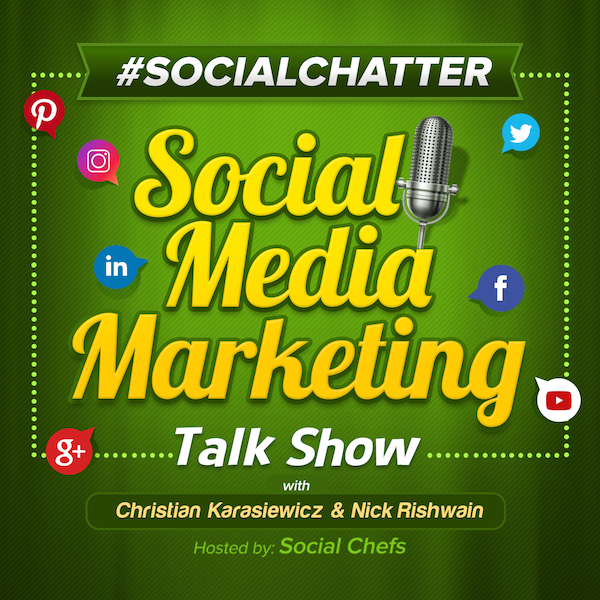 Welcome to this week's episode of Social Chatter, your weekly social media marketing talk show where we cover the latest social media news from this past week. In Facebook news, they are disabling modifying link previews. This is an important update this week from Facebook. What this means is that whenever someone shares your Facebook posts on a Profile, Page, Group, etc, they will no longer be able to modify the title, description or image for that post. Facebook is doing this to combat the spread of fake news. What this means for your business is that when you are publishing content on your blog, you will want to make sure all of the metadata (title, description, image, etc) are included with your posts. This way, when someone goes to share your blog post, all of the correct information is included. We recommend using Social Warfare and also install Yoast SEO plugin. Both of these tools make it easy to add this information so that whenever someone shares your content, it pulls in the appropriate information. If you have any questions about modifying link previews for Facebook, please leave them in the comments below. You can read more about this change to Facebook on the Facebook Developers blog. In LinkedIn news, they now support native video. LinkedIn is finally adding native video uploads for users. In order to upload native video to LinkedIn, you'll have to use their mobile app. In the LinkedIn app, you'll now see a video camera icon next to the normal camera icon (which is for photos) in the status update box. You can record a video using LinkedIn's camera or upload your own clips from your camera roll. What's unique about LinkedIn native video is that you can record videos that are up to 10 minutes long. LinkedIn recommends creating videos that are between 30 seconds and five minutes. You will also be able to see how many views, likes and shares a video you created generated. To put a business slant on native LinkedIn video, LinkedIn is also going to see some of the companies where viewers work along with their job title - so keep your Profile updated! As a business, this can be valuable data to help you learn more about the types of people who are viewing your LinkedIn video content. To read more about native LinkedIn video, take a look at this article. In Snapchat news, they are rolling out two new features, multi-snap recordings and a tint brush feature. Previously, Snapchat limited you to 10-second video clips. They have now extended this to 60 second videos (all recorded in one uninterrupted clip). Each of the recordings will be broken up into 10-second clips. Here is how this new feature works on Snapchat. Begin recording your first 10-second video clip. To extend your recording, continue pressing down on the shutter. What is great about this feature is that you'll be able to go back and edit each 10-second clip. This way you can capture continuous video and edit out the parts you don't want instead of trying to capture the perfect snap. As a business, you'll be able to capture continuous video that you can then break into 10-second snaps you can then drip out on your Snapchat account over time. One additional feature announced by Snapchat this week is the addition of a tint brush. This creative tool will let you add Adobe Photoshop-like filters to your snaps. Here is how the Snapchat tint brush feature works. The tint brush feature only works for photos right now. What it does is it let's you easily change the color of different parts of a photo. As a business, this can be useful for you. For example, say you snapped a photo of a blue handbag and you want to change it to black. Instead of having to take another photo, you can use the Snapchat tint brush to quickly select the object in Snapchat and change it to a new color. For now, multi-snap recordings are only available for iOS. The tint brush feature is available on both platforms. To get these new features, update your Snapchat app. Amazon news, they are working on their own messaging app called Anytime. You're probably wondering why you need yet another messaging app. You already have Apple's Messaging app, Facebook Messenger and WhatsApp. With Anytime from Amazon, they're looking to offer strong encryption protection to keep your sensitive information safe. In addition, the biggest reason would be its ability to integrate with retail services. Not only would you be able to message others, but also connect buyers with retail businesses. For example, maybe you want to order physical goods and their online store doesn't have them in-stock? Imagine being able to get in-touch with a brick-and-mortar business to place your order and pick it up, just by messaging them. The payment process would be handled directly through the messaging app. Right now, Anytime by Amazon is still being worked on. As a business, the one thing you can do right now is to continue to get to know your customers and how they shop. Are they strictly online only customers or more interested in buying at their local brick-and-mortar store? By taking the time now to survey your customers and their buying habits, when Amazon rolls out Anytime, you'll know how best to serve your customers. You can read more about the Anytime app from Amazon here. The first tool that we have discovered this week is called Friendly for Facebook (iOS | Android). Are you always having to charge your mobile device after using Facebook? Maybe you don't have a lot of storage on your device? Or you want to take control of your Facebook news feed and order posts or filter them by keywords? With Friendly for Facebook, now you can. Friendly for Facebook is a mobile app that makes it easy to switch between different Facebook accounts you are managing, download photos and videos for later, report photos, save data usage and much more. Friendly for Facebook is available as a free app. The second tool that we have for you this week is called Hustlemoji (iOS). Hustlemoji is an app that provides with you 31+ stickers to help keep yourself motivated when growing your business. You can also share the inspirational stickers with customers as well. The set of stickers include phrases from serial serial entrepreneurs such as Elon Musk, Richard Branson, among others. Hustlemoji is available as a paid app. To get your motivational stickers to help inspire your customers, you can download them from the link below. To watch next week's episode of Social Chatter, your weekly social media marketing talk show, tune-in to our Facebook Page to find out what's new in social media news!